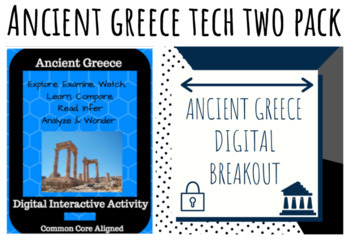 This product contains and Ancient Greece Digital Breakout and Hyperdoc. Also sold separately. Product includes the link to the doc site. Must have internet access. Doc is web-based. Video link is from YouTube. It may be blocked by school filter. If so, show the video whole class. 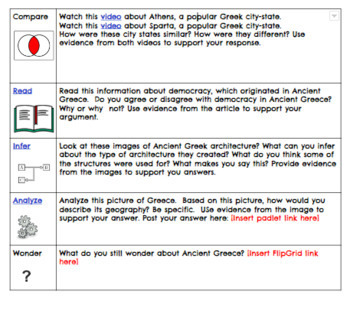 You may need to create a Padlet, FlipGrid, and Answer Garden link for a few of the activities. Some activities may require Adobe flash. Be sure your school district gives students access to documents from outside of your school district. 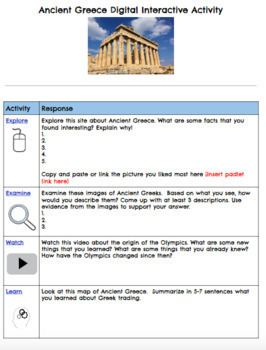 Also sold as a Hyperdoc and Digital Choice Board Two Pack.